Sam Fisher is known around the State of Virginia as a 2x Wrestling State Champion but now is making a name for himself Nationally. After spending the past four months training and wrestling Freestyle and Greco Roman around the east coast and Sam joined team Virginia a little over a week ago and left for North Dakota State University in Fargo, N.D. for the USMC USA Wresting Cadet Nationals Wrestling Tournament (aka Fargo). Participating in the Cadet division as well after his freshmen year of high school, Sam was unable to place at this prestigious tournament last summer. In past years’ team Fauquier have had some elite wrestlers compete in Fargo Nationals and win a handful of matches but never has anyone reached All-American status. For the past 40 plus years this event has brought in the best high school wrestlers from around the US to compete in Freestyle and Greco Roman. As the Nationals event took place from July 14th to the 20th had the Cadet and Junior divisions competing in Freestyle for the first four days and Greco Roman the final 3 days. While the Junior division is a makeup of 17 and 18-year-old kids the Cadet division are 15 and 16-year-old and usually those freshmen and sophomores high school kids. To earn the All-American status in Freestyle and Greco Roman, participants must place in the top eight and that's just what Sam Fisher did. With most weight classes having a makeup of a 64-man bracket, Sam competed in the 182lb weight class in both Freestyle and Greco Roman. Sam Fisher wrestled for a 7th place finish in Freestyle and then topped that by earning a 3rd place in Greco Roman. Becoming the first ever All-American from Fauquier HS. and Fauquier County, Sam also doubled down and has become the first wrestler in Fauquier Co. history to earn All-American status twice. Or what is known as a Double All-American. RD 64 match: Sam Fisher (Virginia) won 13-2 Tech Fall over Nick McNulty (New York). RD 32 match: Sam Fisher (Virginia) won 12-0 Tech Fall over Dylan Case (Indiana). RD 16 match: Sam Fisher (Virginia) won by pin over Josh Labarbera (Illinois). Champ Quarters match: Sam Fisher (Virginia) lost to R. Elam (Missouri) (Eventual Champion). Cons Quarter match: Sam Fisher (Virginia) won 12-0 Tech Fall over E. Rosonke (Iowa). Cons Semi of 4 match: Sam Fisher (Virginia) lost 1-1 to E. Hatcher (Ohio). 7th place match: Sam Fisher (Virginia) won 6-2 over C. Hawks (Missouri). Sam Fisher earned 7th place in the 182lb Cadet USA Freestyle Nationals Tournament. Sam had a 5-2 record recording 3 Tech Falls and a pin. At this point Sam became the first wrestler from Fauquier county to achieve All-American status. RD 64 match: Sam Fisher (Virginia) - Bye. RD 32 match: Sam Fisher (Virginia) won 10-0 Tech Fall over Justin Brindley (Iowa). RD 16 match: Sam Fisher (Virginia) won 14-4 Tech Fall over John Meyers (Pennsylvania). Quarter-Finals match: Sam Fisher (Virginia) won 10-0 Tech Fall over Michael Tal-shahar (Florida). Semi-Finals match: Sam Fisher (Virginia) lost to Kyle Haas (Kansas). Cons Semi-Finals match: Sam Fisher (Virginia) won 10-4 over Josh Labarbera (Illinois). 3rd Place Finals match: Sam Fisher (Virginia) won by pin over MacAron Kukowski (Minnesota). Sam Fisher earned 3rd place in the 182lb Greco Roman Tournament. Sam had a 5-1 record recording 3 Tech Falls and a pin. Taking third, Sam makes his mark as the first wrestler from Fauquier county to achieve Double All-American in Freestyle and Greco Roman. 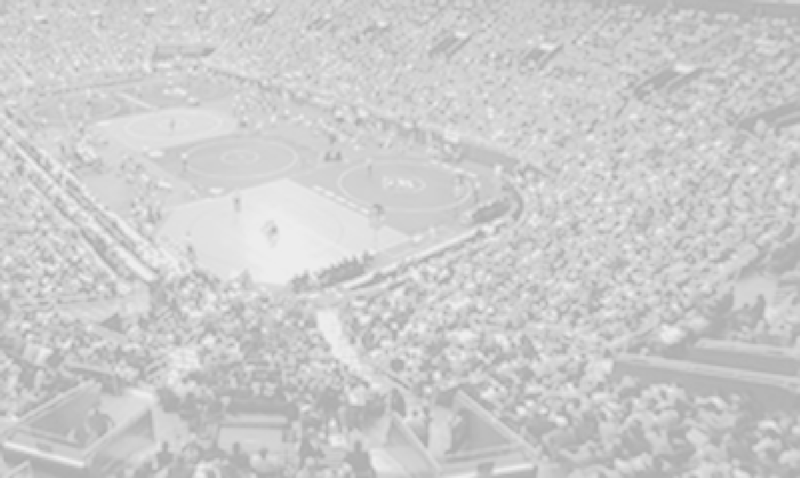 Q: Competing in Fargo for the second straight year can you reflect on the experience and what’s it like competing in the Cadet division at this National event? Sam Fisher: "It's an amazing event and a totally awesome experience being able to be a part of it considering its size and history as one of the most prestigious events in scholastic age wrestling." Q: A 2X State Champion from Virginia as you continue to train and wrestle through the spring and summer can you explain what you have done and learned about yourself to improve your game to be a Double All-American? Sam Fisher: "I took away a lot from this event last year that I was able to fix this year mostly in my training cycles. I learned last year that I needed a little more time off between season and my training cycle for Fargo." Q: What is your pre-match warm-up. What do you do, how do you prepare for each of the matches and the music selection that you may listen to? Sam Fisher: "10-15 minutes before my matches I like to get up and get my blood flowing. Once my match gets closer I like to start warming up my legs, stretching and getting mentally prepared for my match. Usually before my match I listen to my usual music which consists of Red Hot Chili Peppers and other alternative rock and then as my match gets closer I switch it to my warm-up playlist which is more intense." Q: Oh, to be a fly on the wall as you are hanging with the Virginia team, can you talk to our readers about VAWA and the team and coaches that went out to Fargo, ND with you. Sam Fisher: "Being a part of the Virginia team is a really cool experience because I am surrounded by like-minded kids who appreciate and focus on the sport as much as I. The coaches are all very knowledgeable, personable and helpful. In particular, I gravitated to Coach Squires of Saint Christopher’s and Coach Radsky from Washington and Lee College because I had already known them from previous years. They both helped me a lot throughout the process and were in my corner every match."